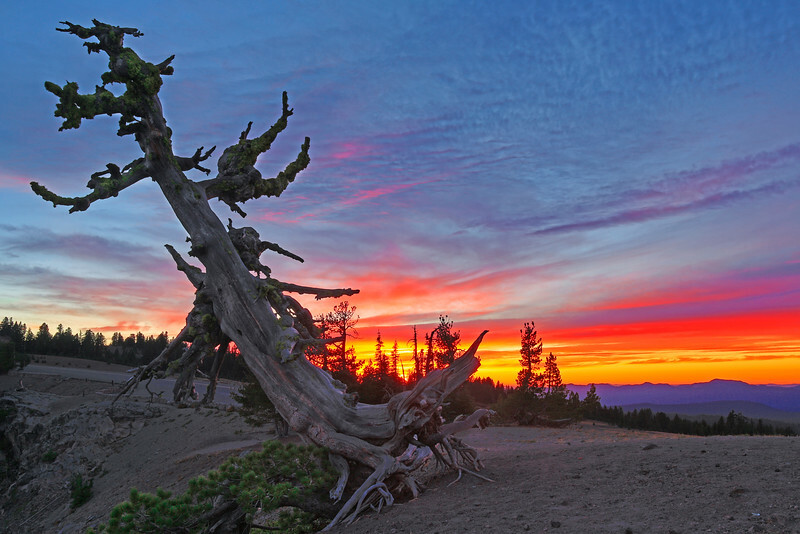 This is a Whitebark Pine leaning over the rim of Crater Lake. It is stress-tolerant to high elevation and cold, however climate change is threatening its habitat. This view looks toward the west at sundown. Outstanding image. Great composition with a stunning sky. Wow, I love finding gnarled old trees like this and the sunset in the background is a magnificent backdrop. Nice to see this gnarled old tree hanging in there! Like shots of dead trees. This one is really excellent.